Previous postAnybody Up for Some #BundyEroticFanFic? Next postSometimes a Headline Seems Too Good to be True. 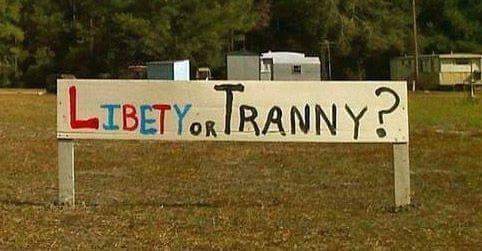 Oh, PLEASE PLEASE PLEASE, let this be someone’s honest attempt at conservative backwoods hillbilly signage. The trailers in the background just about confirm it.